My name is Tetty Chousand and my chinese name is Ling Ling. That is where I got my Etsy shop name, LLing designs. Currently, I live in Carrollton, Texas with my husband and my two teenage daughter. I'm a stay at home mom and likes to play online mmorpg games. I've been playing all kinds of online games with my family such as, Asheron's Call and World of Warcraft. For my free time, I like to make more jewelry and browse around etsy. I like yellow + black and red + white for my favorite color combination, but it will change from time to time. The first thing I made was a small bag I crocheted. Inspiration comes from everywhere, some time it's just from the beautiful beads I bought or from something around the house. Before I make my jewelry I usually draw and sketch it out. My atmosphere does not affect my creativity. I create things in my work space at home. 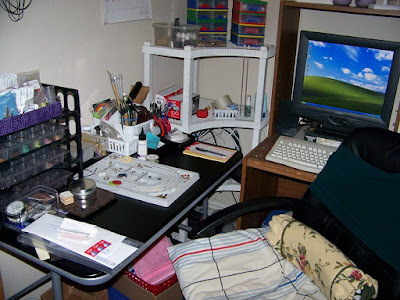 My favorite materials are gemstones, glass bead, swarovski, sterling silver, gold filled, and polymer clay. My favorite thing to do with my creativity is play with polymer clay. I often make beads and pendants out of it. It's unique because it's one of a kind. It's also made from people who loves making things out of simple materials. I am still learning , but I can say that people can promote their stuff and handout business cards and always try create something new. Other than household chores, I like to play World of Warcraft for fun, like I have mentioned before. I'm reading Cross by James Patterson. in ten years I'd like to own a bead shop and sell my handcrafted jewelry. 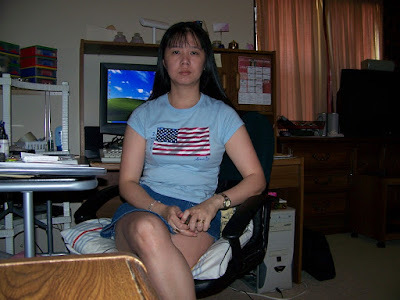 My name is Cathy Clark and I live in the Western Suburbs of Chicago (Downers Grove, IL). I am a single parent of two kid's, a daughter Courtney who is a Junior at UIC and a son Corey who is a Senior in HS. My store web address is http://www.tagyourit.etsy.com/ and http://www.catscraps.etsy.com/. I tried blogging but unforunately I'm not computer savy nor do I have the time to commit to a blog. My favorite color combination would be anything with brown i.e. brown/robin eggs blue, brown/pink, etc. The first item I ever remember making was Barbie furniture out of match boxes and strawberry crates, etc. Then the infamous hotpads and loop rugs! When I was younger, kids had to use their imagination because either their parents didn't have the money or the things that are available today weren't available then. I remember winning an art contest when I was in 4th grade at a local grocery store and someone else claimed the first prize. My mom marched up there and raised heck with them and eventually they gave me my prize which was a paint set. I have always been interested in some form of art. What inspires me are a couple of things; a)my mother (who passed away 4 years ago. She was the artistic one in the family! Sewing, museum quality embroidery, knitting, crocheting, anything she tried, she was the best at. She always told me that if you are going to sell anything be consistent and you are your own worst critic. b) my kids; this is my therapy and a reason for me to stay up late at night waiting for them to come home safely. My ideas come from the paper, the ribbons, the buttons, etc. They set the mood for the perfect card. The atmosphere doesn't affect my work. I work out of my dining room, and there are French doors with alot of lighting. Of course, I like working in the daylight better but unfortunately working full time out of the home doesn't always allow for this. My favorite materials of course, are paper, ribbons, and buttons. Any embellishment really! I am honored when someone buys my cards! With all the talented artists at Etsy to chose from, I am honored that someone would chose me, but at the same time I know they are getting a quality keepsake! The same tip that my mother gave me, I give to others; be consistent in your work, believe in your product, never undersell yourself, and good communication with your customers. Treat them the way you wish to be treated. People should buy handmade because the item they purchase is one that was made with love, and a passion and that is reflected in their art. I work full-time as an office manager for a high-end cosmetic dental office. Things I have learned from other Etsyians a) promote, promote, promote! 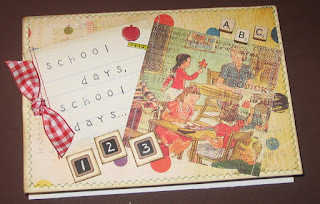 Right now, I am working on my Back to School, Fall, Halloween and Christmas line of paper products! Which seems strange to me because it is 93 degrees outside! In 10 years, my kids will be finished with college and have their own lives which means, I will have some extra space to finally have the studio that I have been dreaming of. 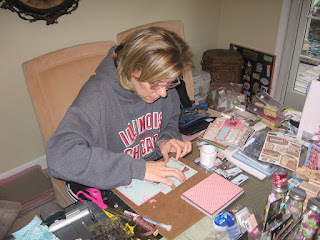 I am hoping by then I will be able to quit my full-time job and concentrate on nothing but scrapping! This is my love and my passion and I love to share it with others! 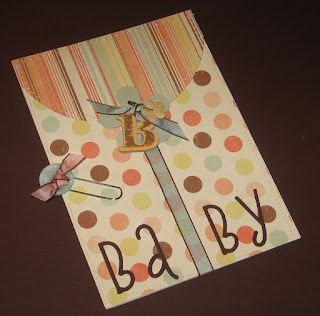 I failed to mention that I have handcrafted greeting cards, gift/hang tags in TagYourIt and paperbag scrapbook albums and other altered art in CatScraps. Another feature Etsy Seller.... Tatiana! She wants to tell you all about her shop! I'm a girlie girl, so I love pinks and I also love earthy tones. That would have to be my bridal bouquet. I made it because I wanted to have something that would last and has special meaning. I love flowers. 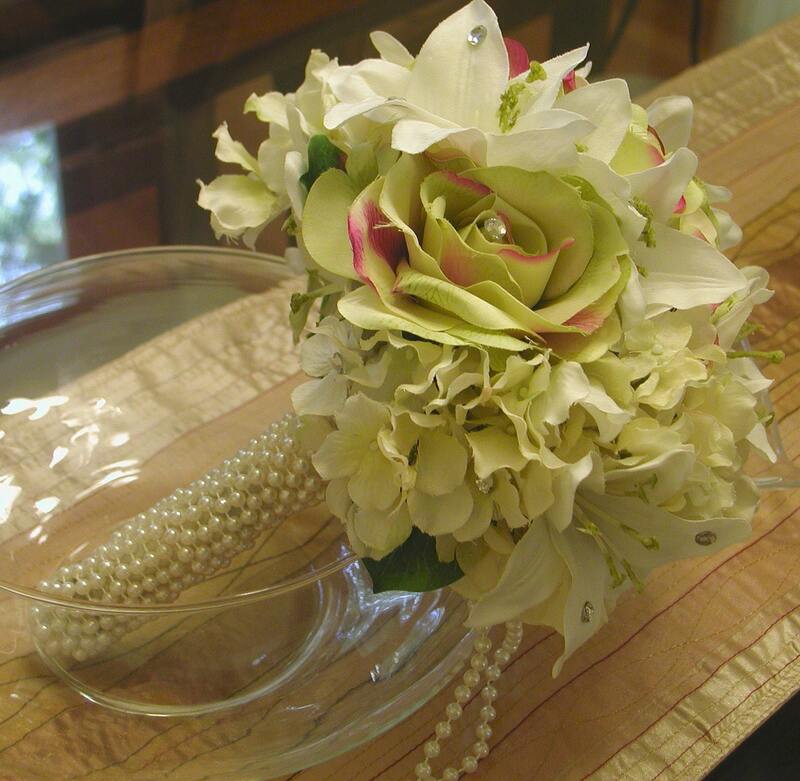 I didn't want to just have pictures of my bouquet. Plus, I'm saving it for my little pumpkin, for her wedding day. I get ideas from everywhere. Especially when I take little madisyn to the park. There's so many cool colors to look at. I get alot of ideas from the outdoors. No, the atmosphere does not affect me. Where- I have a little studio at home and also in my greenhouse. -Favorite Materials- Of course ANYTHING Swarovski, Love Lampwork beads, Semi precious gemstones.-favorite thing to do is to just create beautiful items. -Why handmade- it has more meaning, and most likely will be a ooak piece. There is so much mass production of jewelry- it's nice to have something that has meaning and ooak. -Always keep a positive attitude, remember that everyone has different taste, and promote, promote, promote.-I'm a Medicare Appeals Analyst also studying for my Master's degree in Human Services. -In ten years- I'd like to own a bead shop, full service spa, women's shelter. Be a psychologist, a great mom, and wife. Please visit her on ETSY!